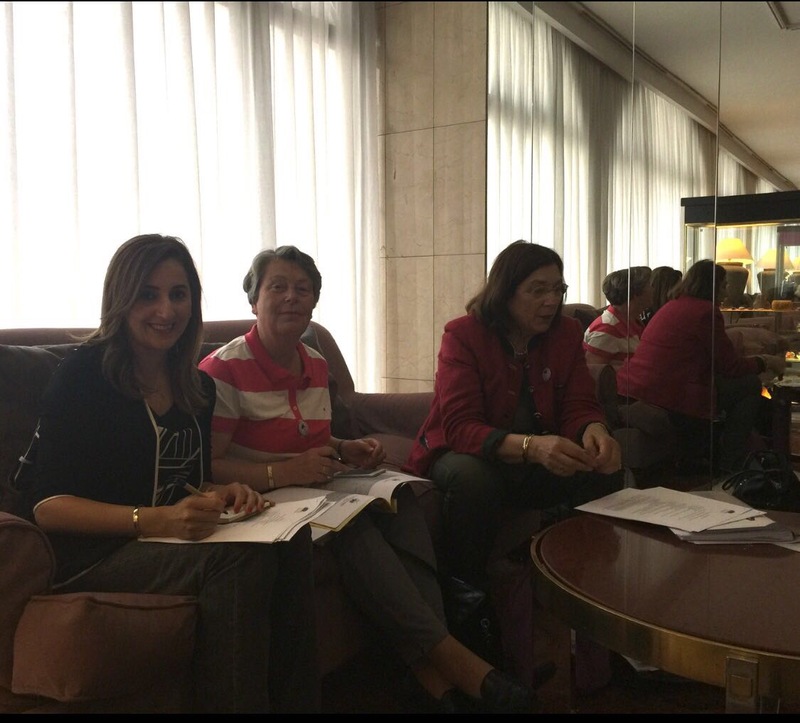 INLW Board held a meeting with the members that were present for the 70th Congress of LIberal International. 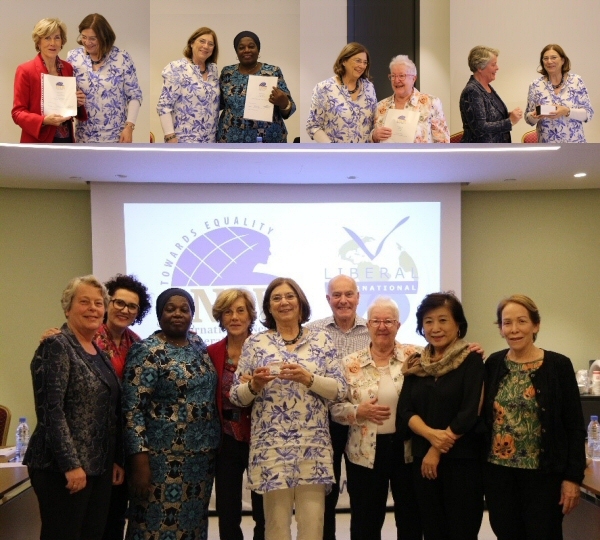 Mireia Huerta, Secretary, Silvia Flury member of INLW, Margaret de Vos van Steenwijk, President, Khadija El Morabit, vice-president Mena region, Joaquima Alemany, past president, Maysing Yang, vice-president Asia, Lysbeth van Valkenburg, Treasurer and Ruth Richardson, who was going to be appointed as a member of the Board the next day during the General Meeting. During the board meeting the New Manifesto and our resolutions were discussed. 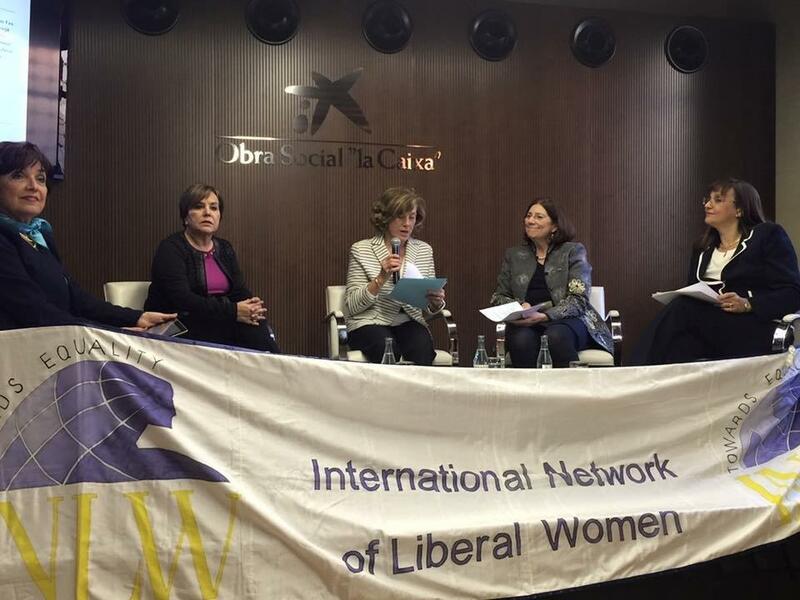 During our General Meeting, many members were present by the presentation of the book about Women and Liberalism of our past president Joaquima Alemany Roca. 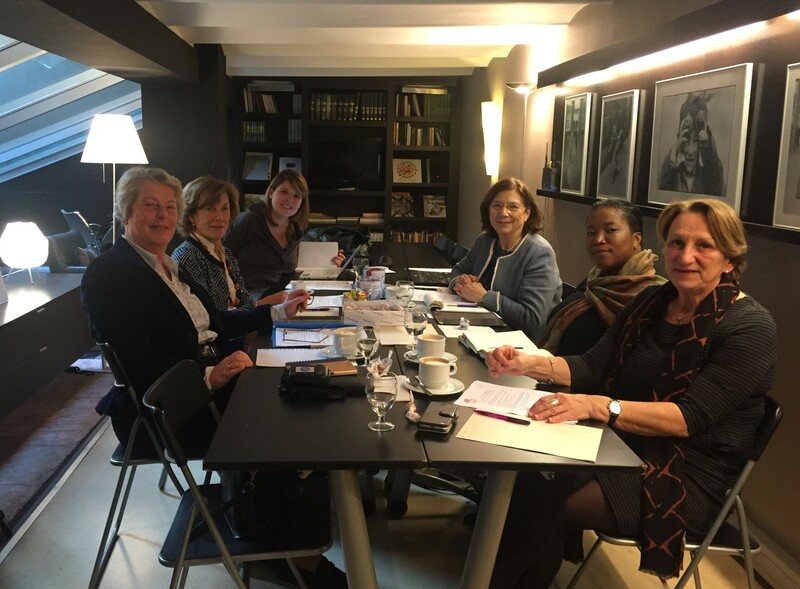 The first INLW Board Meeting since the Mexico GM with many new Board members took place in Barcelona from 8-11 April 2016. 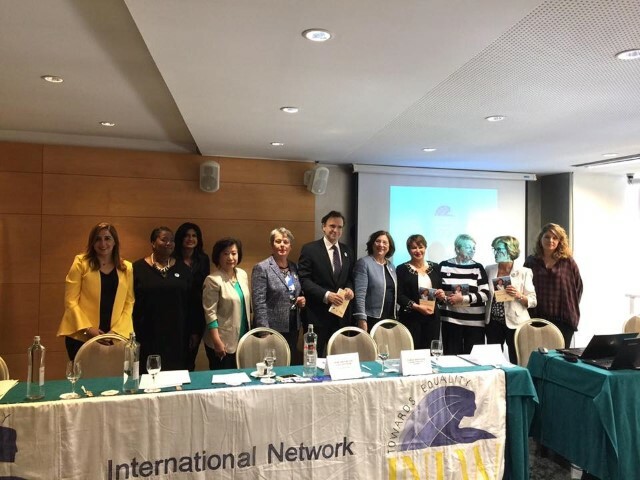 On Friday the Barcelona Liberal women (Dones LiD) and INLW organized an event on “the Empowerment of Women for sustainable development, The new agenda of the United Nations” in the beautiful building Palau Macaya. It was an inspiring evening with (fltr photo above) Leticia Gutierrez, Patricia Olamendi, Joaquima Alemany, Margaret de Vos van Steenwijk as speakers as well as a representative from Club XXI siècle in France. During the Liberal International Congress in Abidjan INLW held its General Meeting, where new Board members were chosen and installed. In conjunction with the 57th Liberal International Congress which was held in Manila from June 16th till June 20th 2011 INLW held its General Meeting and Management Board Meeting at the Peninsula Hotel. 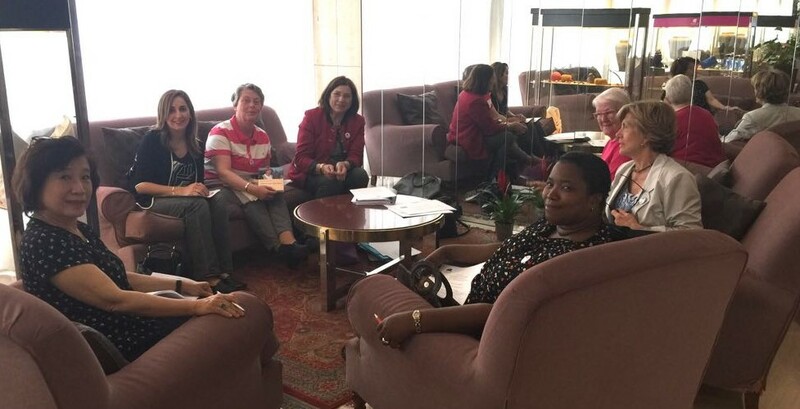 A Round Table was organized together with the CALD Women’s CAUCUS on the theme of “Free and Fair Trade and Women’s Human Rights”. This joint roundtable table discussed “Benefits of free and fair trade for women”, “Women’s human rights: the externalities of free and fair trade”, “Policies for women: national, regional and global responses”. 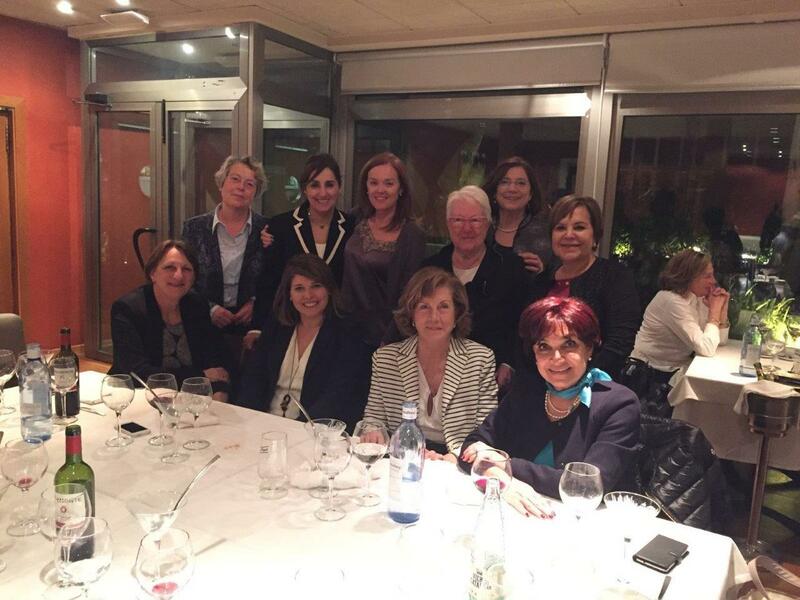 Since the ELDR Congress (the Liberal European Party Congress) was convening in Barcelona, INLW took the opportunity to celebrate a Management Board Meeting on 21 november 2009. 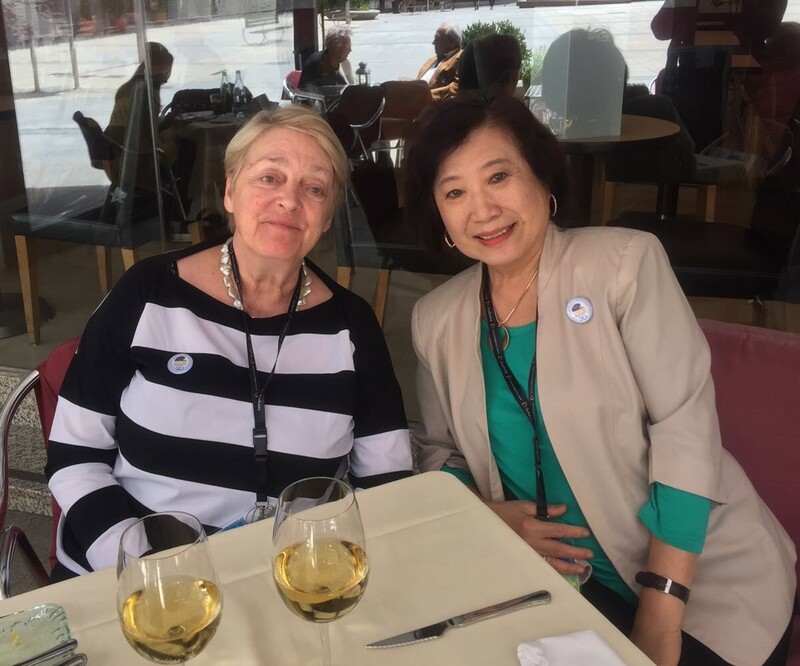 INLW president would like to have a survey from liberal women’s organisations all over Europe on the actual accomplishment of the Beijing Declaration and Platform for Action, the main theme on the agenda of the 54th Commission on the Status of Women, taken place in March 2010 in New York. 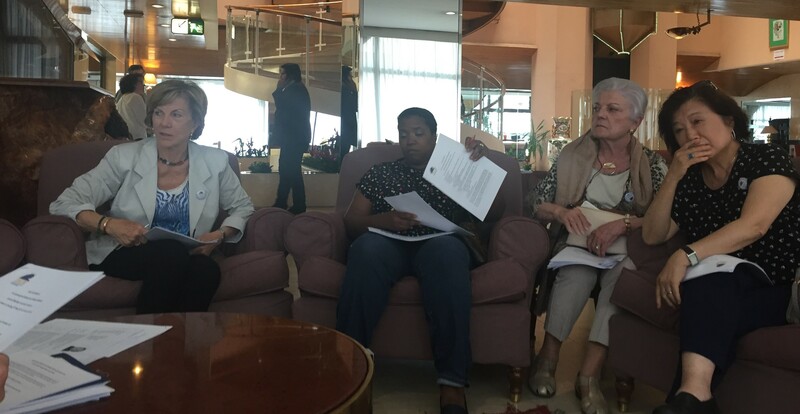 Deputy president proposes INLW Vice-presidents to send a report from their regions about this item, so as to have a liberal women’s review worldwide. It was agreed to update the website and to install a section for Vice-presidents reports from there respective regions and also to urge liberal party leaders belonging to LI to recommend their women members or organizations to become members of INLW.